I have a problem…a slight addiction you may call it. It starts with a P and ends with a T… Yes, it is Pinterest. A simple website that has taken over my spare time. For those of you who don't know about it, why not?? 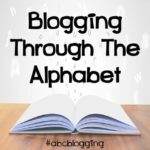 🙂 Pinterest is like a bulletin board for all those websites, crafts, pictures, recipes, and homeschool ideas that you don't want to loose in cyber space! I use Pinterest more than I use my bookmark option on my web browser. 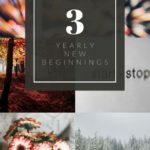 On my Pinterest account I have over 20+ different boards, with anywhere from 1 to over 300 pins on each one of them… that amounts to a lot of different recipes, pictures and ideas!! I am going to narrow those 20+ boards down to 5 favorites with my most favorite pin from each one…This may be tough. 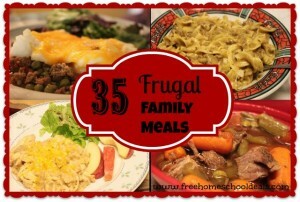 Hello…frugal family meals, times 35? Yes, this is a pin I visit often!! 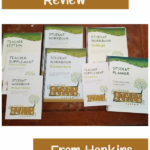 Resources all in one place? Yes please! 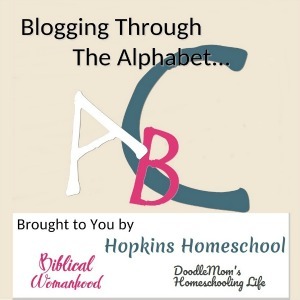 Links for resources that are FREE!! There are hundreds here…whatever you are looking for, it is here! I love this list!! 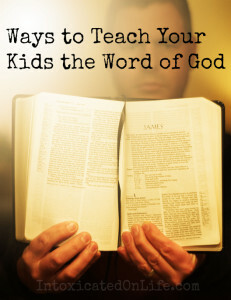 I love finding new ways to help my kids learn more about God, and this list gives me some new things to add in when the kids need a change, or when mommy needs a change. 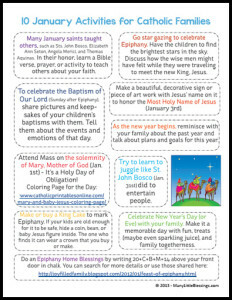 Angie over at Many Little Blessings has this fun printable of fun things to do in January…and she has some for every month of the year!! What a fun way to be a Catholic family!! 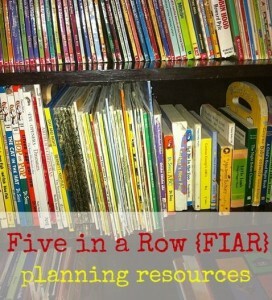 Thanks so much for sharing my FIAR resource! 🙂 Great post. What a great list of boards and pins! I, too, am a Pinterest addict, and I can’t wait to spend some time exploring your boards. 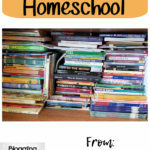 Thanks for linking up to the Hearts for Home blog hop.